A long-time film buff, Stephan Streker first became a journalist with the aim of meeting the people he admired most in the world – filmmakers. In this capacity, he published lengthy interviews for the Belgian press. He also worked as a film critic for both radio and print media and as a photographer (artistic, press and portraiture), producing numerous album covers. In parallel to these occupations, Stephan was a sports journalist, specializing in boxing and soccer. 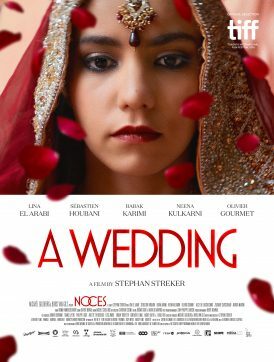 A Wedding (Noces) is his third feature-length film following Michael Blanco (2004), shot “guerilla” style in Los Angeles with the help of a few friends, and The World Belongs to Us (2013) starring Vincent Rottiers, Olivier Gourmet and Reda Kateb. In addition to his work as a filmmaker, Stephan is also a soccer consultant for belgian television (RTBF), in particular for all matches involving the Red Devils (the national team).